Smoked meatloaf is something I decided to try about 10 years ago on a whim and it has been a regular feature at our table ever since. I wrote about it way back then and I've had hundreds of folks tell me they would never eat an “oven” meatloaf again. Take that same meatloaf, form it into a log, wrap it in bacon and you have smoked meatloaf logs. 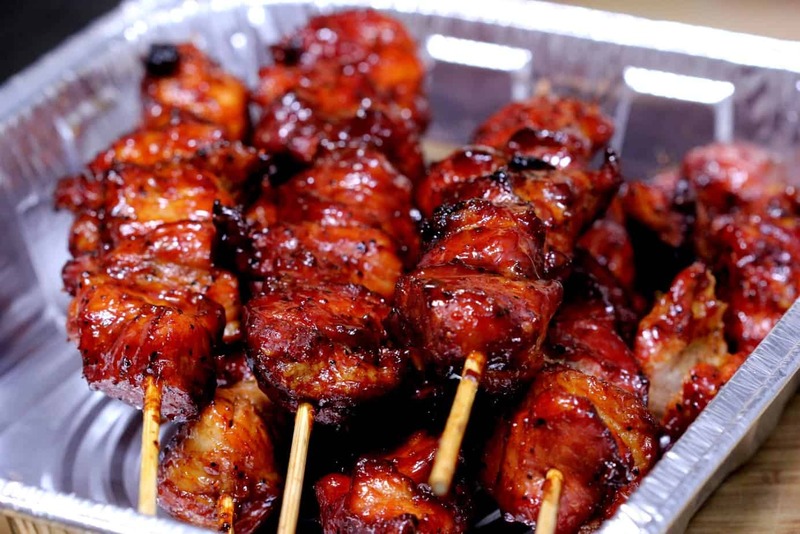 Most folks agree that bacon makes almost anything better and this holds very true in this recipe as well. 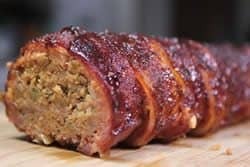 These smoked meatloaf logs use my rub inside the meat and over the top of the bacon once it's wrapped to create an amazing flavor profile that will make your lips and tongue want to do the tango. 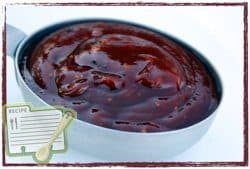 My very own barbecue sauce recipe also adds some zing to the inside and a very nice sticky and flavorful surface on the outside in a way that you just have to experience to believe! 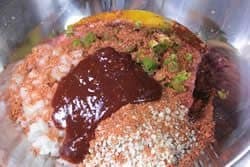 Add 1/3 cup of Jeff's rub (purchase recipes here) and 1/3 cup of Jeff's barbecue sauce (purchase recipes here) and mix together with clean hands to combine. Oops.. I almost forgot the worcestershire sauce! I just made a bowl to put the worcestershire into, then remixed it lightly. 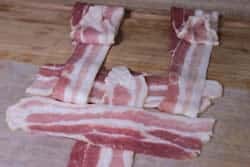 Making a bacon weave is not the easiest thing to write out so that it's easy to follow. I have posted pictures and I feel confident that you can accomplish this, even if you've never done it before, by studying the images carefully before you begin. 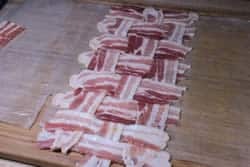 Begin by laying out some wax paper and create the bacon weave in the center or at one end leaving enough room to form the meatloaf log at the other end. 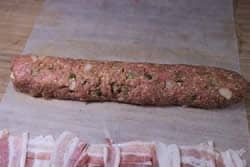 Form half of the meatloaf (1 lb) into a log that is about the same length as the bacon weave you just created. 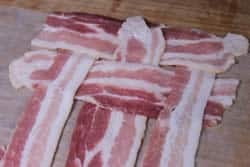 Be sure to create it close to the bacon weave and lined up with the long side since you will simply roll the log onto the bacon once it's finished. 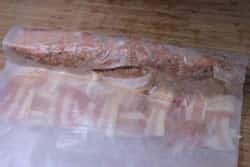 Once it's formed, use the wax paper to help you roll the log up onto the edge of the bacon. 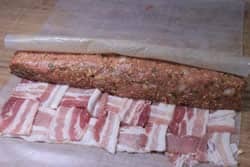 Continue to roll the meatloaf log and the bacon weave until the weave is all the way around the meatloaf log. It's not the end of the world if the the weave overlaps or if there is a slight gap that the weave does not cover. 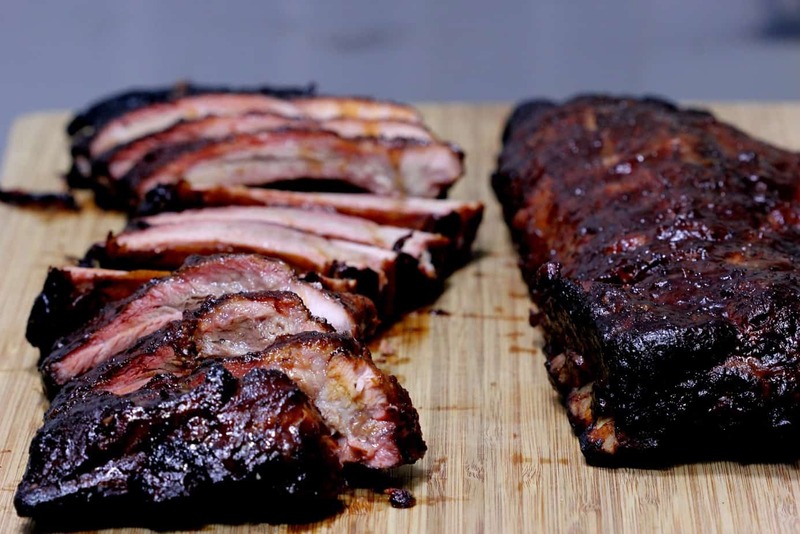 Once it's finished, use the wax paper to help you move the wrapped log to a Bradley rack or you can leave it on the wax paper for now so you can move it to the smoker grate in a few minutes. Repeat these steps on the 2nd meatloaf log. The meatloaf logs are now ready to smoke. 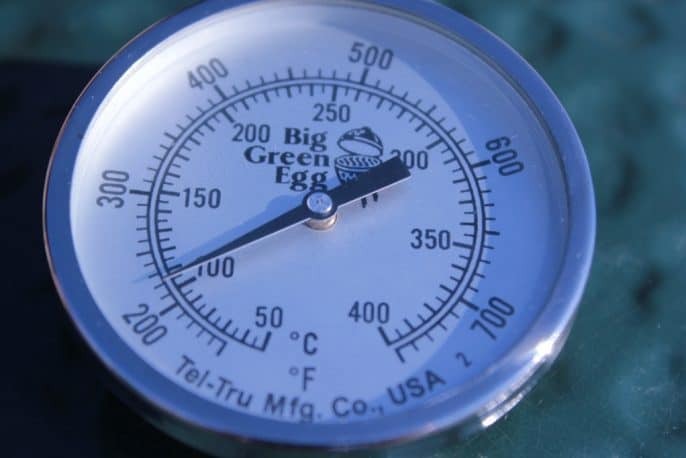 Set up your smoker for cooking at about 225°F. Make sure to have enough smoking wood to last about 2 hours. If your smoker has a water pan, fill it with water or other liquid. I cannot tell a difference between using water and other liquids such as apple juice, beer, wine, etc. but if you can and you enjoy it, feel free to do so. I usually just use plain water. 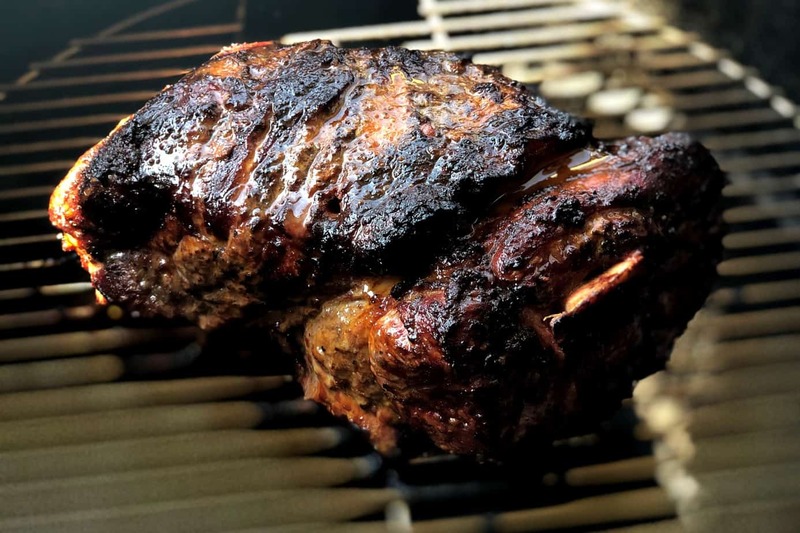 Place the logs directly on the smoker grate or if you used the bradley rack, just lay the entire rack on the smoker grate. Maintain about 225°F for 2-3 hours or until the meatloaf logs have reached 165°F in the center using an accurate meat thermometer. I like to keep the smoke going for the entire time they are on the smoker. I recommend at least 2 hours of smoke since the bacon does keep the smoke away from the meatloaf.. but some does seep through and you can taste it in the actual meatloaf. I used pecan. 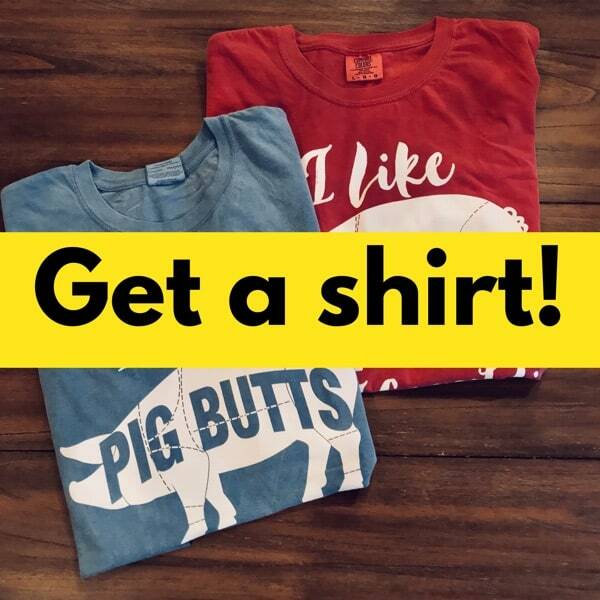 Feel free to use your own favorite smoking wood for these. The Thermapen for quick and easy temperature readings. 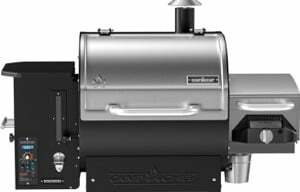 The Maverick ET-732 when I am using a smoker that is a long ways from my kitchen (more than 100 feet or so). The new iGrill2 which I have been very impressed with so far. 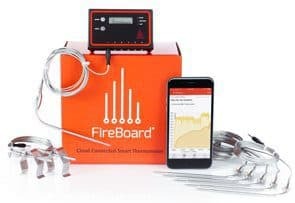 It does not have the range of the Maverick ET-732 but it connects with my iPhone/iPad via bluetooth and, not only does it keep me informed of the temperature of my smoker and 3 other food items, it also charts my time and temperature for me. 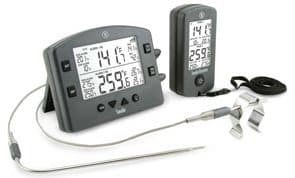 There are lots of options when it comes to thermometers, but these are the 3 that I use and recommend to anyone who really wants to get serious about smoking meat. 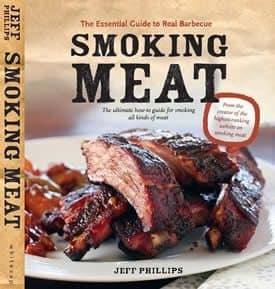 The main thing you learn about smoking meat is that it's usually more about temperature than time. 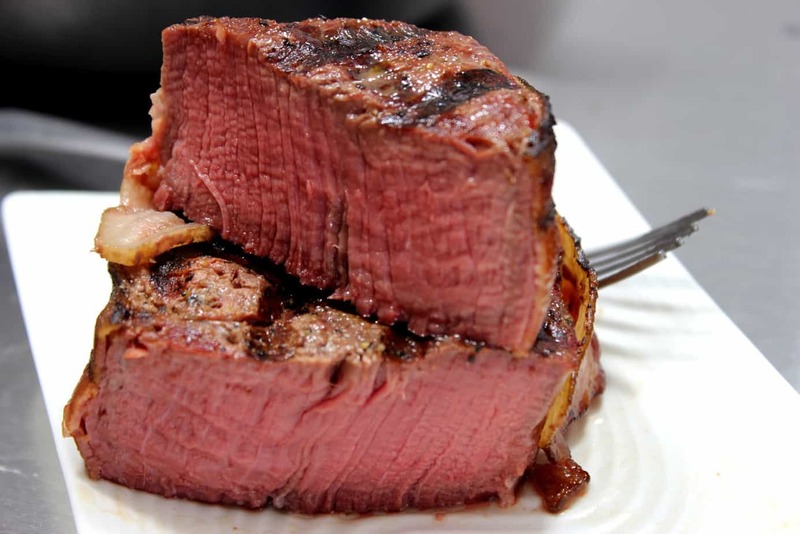 You also discover very quickly that thickness (rather than weight) is the main factor that determines how long a certain piece of meat will take to get done. I like to brush sauce onto the smoked meatloaf logs when they are just 30 minutes or so away from being done. This adds a really wonderful extra layer of flavor which has the potential to make your mouth really happy if you use a sauce that worth it's salt. 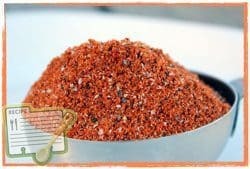 I am very picky about my barbecue sauce and that's what initially led to me creating my very own barbecue sauce and rub. 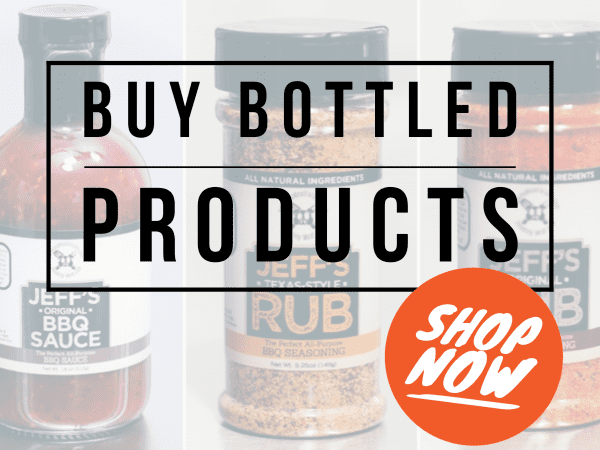 You can purchase the recipes for my sauce and rub HERE if you are interested in a major improvement over what is commercially available in your local grocery store. 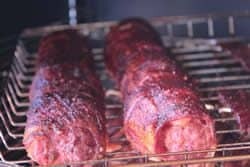 See how great the rub and sauce make the outside of the smoked meatloaf logs look? 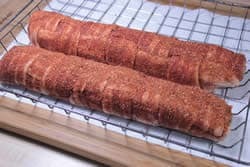 Once they smoked meatloaf logs are done cooking/smoking and they have reached that magical 165 °F, you can remove them from the smoker right away and slice them up. 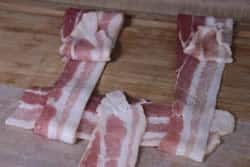 To me, the bacon is good just like it is. It does not get crispy but it should have decent bite-through. If you really want it to be crispy, you can very carefully place it on a hot grill, rolling it over every little bit to get an even crispiness. 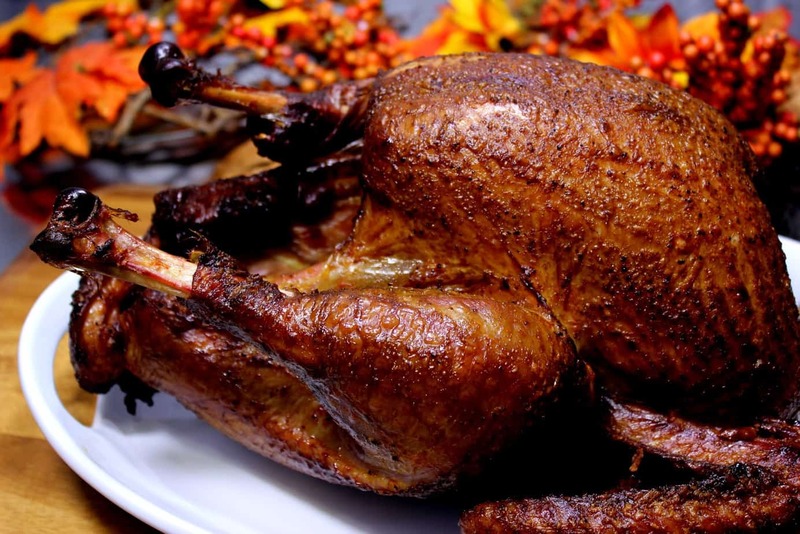 You can also use the broiler for this task but you have to be careful or the sauce/rub will burn. These are perfect on biscuits, Hawaiian rolls or put a couple on a slice of loaf bread and make yourself a sandwich that's out of the world! 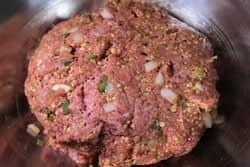 Feel free to use your own favorite meatloaf recipe but I do recommend substituting some of my barbecue sauce for the ketchup and be sure to add the rub to the outside. Don't get these confused with the “fatty” or bacon explosion. Those are amazingly good as well but they are different in that it uses sausage and is stuffed. 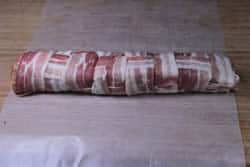 This is supposed to be good ol' meatloaf, all by itself, wrapped in bacon. It's all about the meatloaf recipe and the bacon while a fatty is more about the stuffing. Smoked meatloaf is something I decided to try about 10 years ago on a whim and it has been a regular feature at our table ever since. 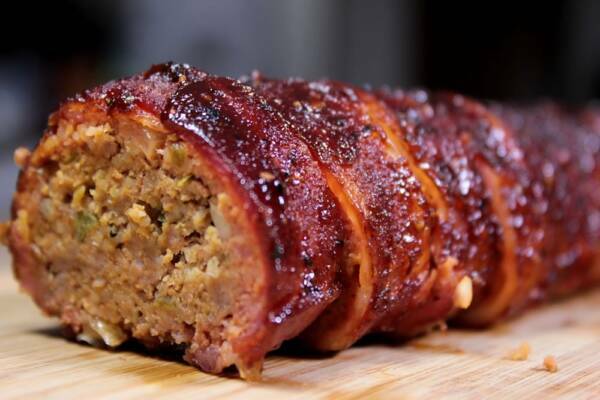 Take that same meatloaf, form it into a log, wrap it in bacon and you have smoked meatloaf logs. This is something that is almost impossible to write out in a way that can be understood without images. You are looking for a weave that is 3 strips of bacon wide. Use half strips weaved into those 3 steps to create the "weave". Create the weave on one end of a piece of wax or parchment paper. Form the logs on the other end of the wax paper. 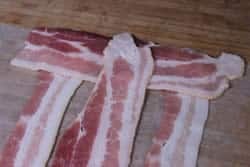 Use the wax paper to help you roll/place the log onto the edge of the bacon weave. 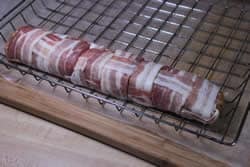 Continue to roll the meatloaf log until the bacon weave is wrapped around it. 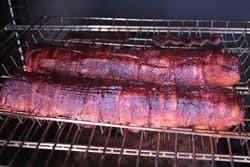 Place the wrapped meatloaf logs directly onto the smoker grate or use a bradley rack. Remove the smoked meatloaf logs from the smoker once they are finished. I had the smoked mac n cheese link opened. Everyone’s expecting it tomorrow and it keeps detouring to the meatloaf logs?? Help!!?? Chris, all comments are moderated on this website which means, they don’t get posted until someone has verified that it’s not spam. This usually happens pretty quick but it can take a day or so for them to show up occasionally. 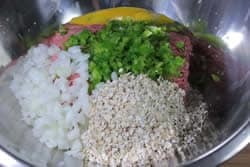 I am not sure why the meat did not stay together if you used the same type of ground meat and the oatmeal and eggs, it should not have had a problem. I assume you checked the meat to make sure it reached 160°F in the center. 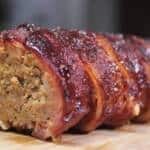 Regarding the bacon, it does not get crispy on fatties, and bacon wrapped meatloaf such as this but usually has a decent bite-thru. 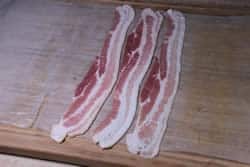 If you want it more crispy, you can pre-cook the bacon for about half the time you normally would to give it a head start then make the bacon weave. 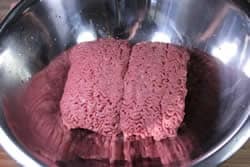 You can also place the meatloaf log under the broiler in your oven and turn it every couple of minutes until the bacon is cooked to your liking all the way around. 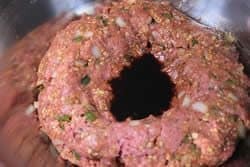 You could remove the meatloaf log 10°F earlier than planned to carry out this process but you would need to ensure that the final internal temperature was at least 160°F. Gave this one a try over the weekend and it came out great. Didn’t have any pecan chips so used Alder chips instead. Also used packaged bacon instead of deli bacon as it is a little thinner. The bacon came out as you described, not crispy but had a good bite through. Another one of your recipes we’ll do again. Thanks! Jeff it was great! I did add just a bit of brown sugar to the mix on two logs, I used your recipe on two others. My guest ate both types and asked for more! Wow in the year and a half I have been smoking meat, mostly from your recipes I have never smoked anything that turned out bad. I eagerly wait each email you send with new Recipe’s This is amazing since I am a guy that could not cook anything without ruining it. Thank you very much. 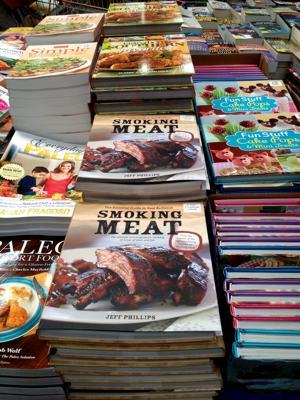 You book is my guide on just about every smoking recipe I do. Than you very much.